FULL METAL SERVICE » Elegy of Madness on Italian tour! Elegy of Madness on Italian tour! Full Metal Service member, female symphonc metal band Elegy of Madness is one of the newest FMS member. They are very active and productive band and it is pleasure to work with them. 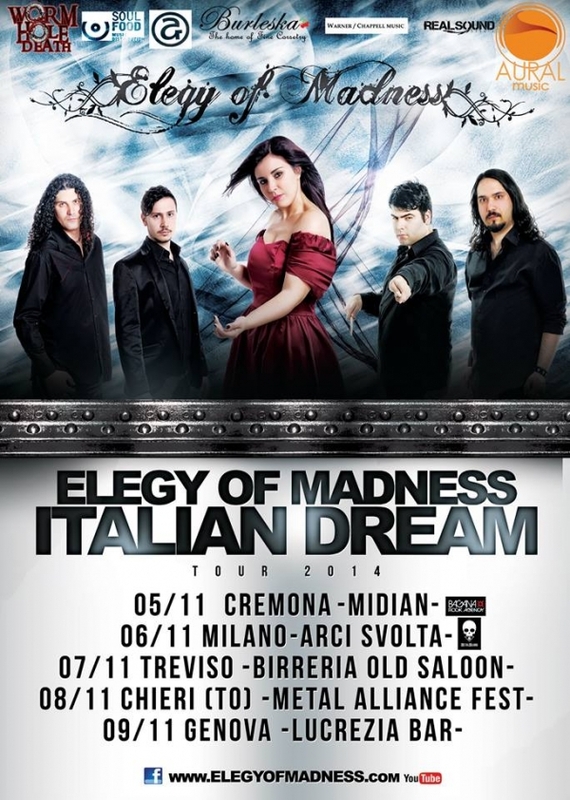 Right now, they announced Italian tour called ‘Elegy Of Madness – Italian Dream’. Check their official websites and find out additional information. Komentari isključeni za Elegy of Madness on Italian tour!